When Eddie Van Fossen entered North High school your athletic classification was based on a thing called exponents. That was a combination of height, weight and age. So if you didn’t have enough exponents you were allowed to play “B” Class sports even as a senior. 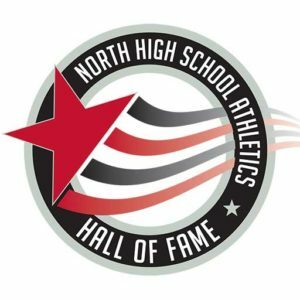 So, Van Fossen was one of the most dominating “B” Class athletes ever at North High, excelling as a running back in football and a guard and MVP of his basketball team as a senior. He also played baseball as a freshman, ran track as a sophomore and was on the swimming team as a senior. And with all of that, he still found time to serve as President of the Associated Men Students. In addition Eddie was involved in several clubs on campus and even played the trumpet for two years in the school band! After graduation from North High he joined the US Army and while stationed at Sandia Base, Albuquerque, NM, he played on the bases’ football, basketball, track, volleyball and horseshoe teams. Bored he was not. While in the Army he learned to fly and became involved in air racing in 1984. Over the next 11 years at the Reno Air Races he was the top qualifier 5 times, won 17 heat races, and was National Champion 7 times. In 1994 at the Phoenix 500 Air Races, he won 2 heat races and the Championship Race. Because of his success he was awarded the Pulitzer Trophy by the National Aeronautic Association for 1993. Also in 1993 he was inducted into the Bob Elias Kern County Sports Hall of Fame. His greatest memory of North High was being involved with all the fellow athletes, students, coaches, and teachers and of course graduation day. His class of 1958 was the 2nd full graduating class of the school. Eddie still lives here in town with his wife Tracy, sons Mark, Darren and Jeff and daughter Tobey. Plus 11 grandchildren. Still involved with flying as part of the Old River Crop Dusting Team. Congratulations Eddie and welcome to the North High Athletics Hall of Fame for an outstanding career both on the ground and in the air.